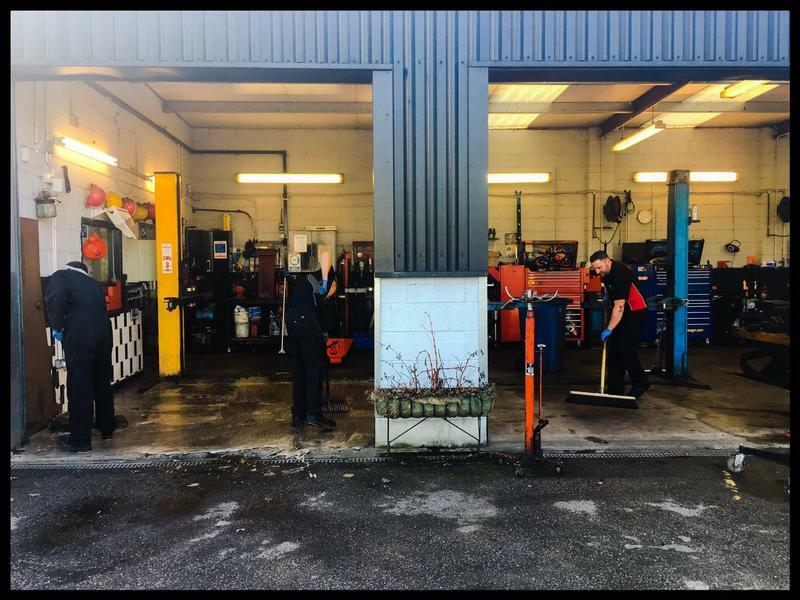 AMK Gatwick Ltd is an Independent Garage located in Lowfield Heath, Crawley, West Sussex and is run by the only lady owner of an independent garage in Crawley. 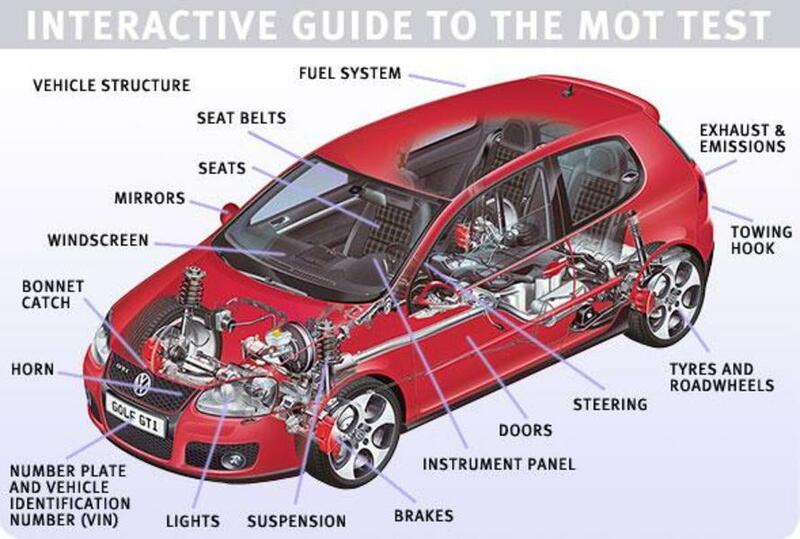 AMK Gatwick is a class 4 MOT testing station – that means we can mot test cars and light commercials up to 3 ton. At present our rate is just £30 of Free if carried out on the same day as having a Major Service. 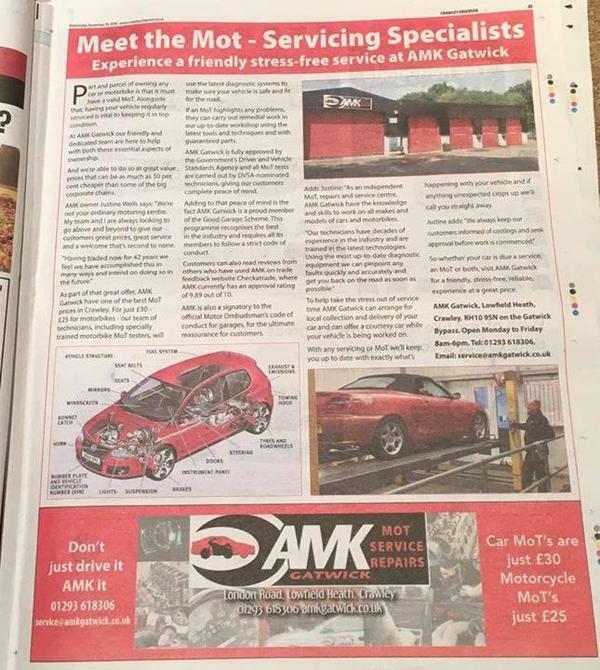 AMK can MOT test motorcycles too. Our test fee is just £25 per test. AMK Gatwick can service all makes and models of vehicles, it has the data that will enable the technicians to service in accordance to the manufactures recommendations, this ensures that vehicles that are serviced with AMK Gatwick during their warranty period still have a valid warranty. Regassing your air conditioning here at AMK Gatwick for a very competitive rate of just £45 inclusive will also include a FREE clean and purifier to get rid of that ‘nasty’ bacteria hidden in the air con system worth £9.99. We have an extensive range of diagnostic equipment in order to carry out checks for your engine management systems, once we obtain the fault codes we can then quote to rectify the fault , this equipment also helps turn the service lights of where necessary. We can also carry out major repairs such as engine changes, cambelts , clutches, turbos to smaller repairs such as brakes, exhausts, steering and suspension components. So if you needs a one stop garage the AMK Gatwick is perfect for you!